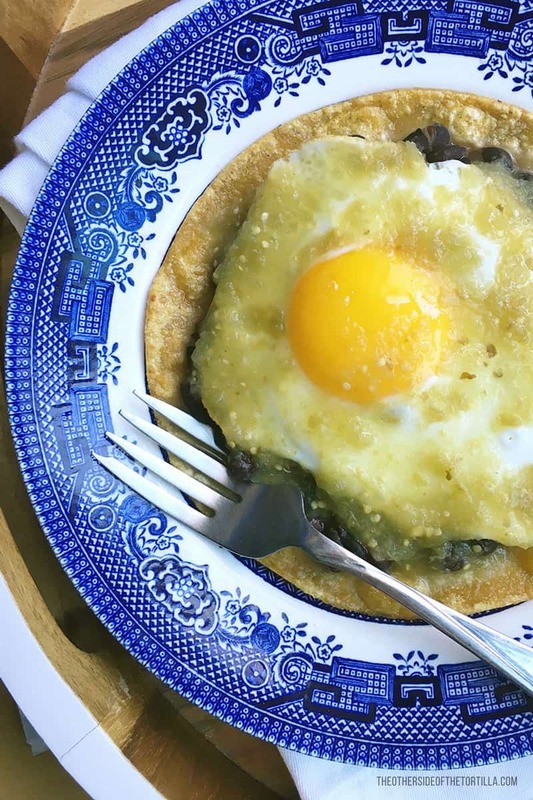 Huevos rancheros are a popular Mexican breakfast dish, but they don’t have to be complicated or time-consuming to make. 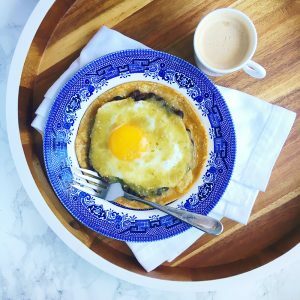 With a couple of store-bought ingredients, you can make them quickly enough to eat breakfast at home before work! Eating breakfast every day is important to me. Don’t you just feel like you’re starting the day off right when you sit down and eat breakfast without being in a hurry? I started waking up a little bit earlier so I could have some daily quiet time to eat breakfast, sip my tea or coffee, and read the newspaper. Since last year, I’ve been eating a decent breakfast a lot more consistently and I notice I make better choices throughout the day when I’ve had breakfast at home. And as much as I love stuff like churro french toast or pancakes on the weekend, I really need to eat a protein-rich breakfast on weekdays so that I don’t snack on too much sugary crap during the day. And as much as I love a trenza de huevo con chorizo for breakfast, unless I make it the night before, it’s a little too much work when I’m trying to get out the door quickly in the mornings. Sometimes José will wake up early and make breakfast for me before work, which is such a treat. 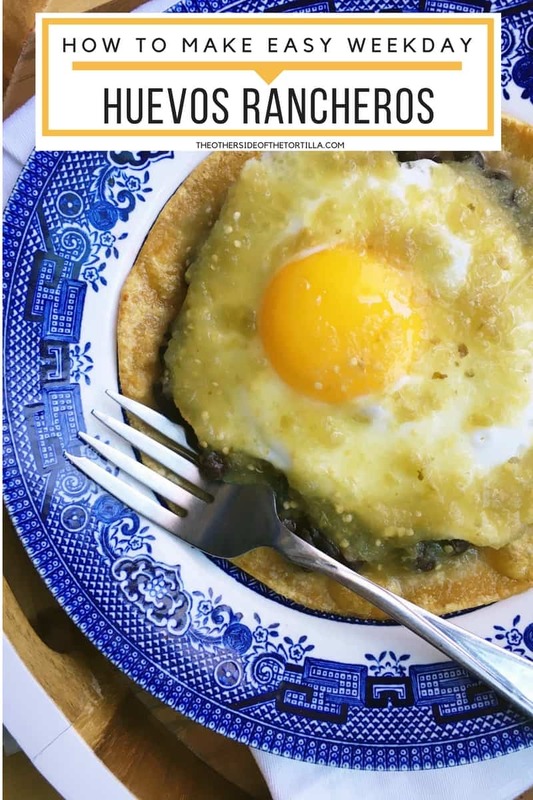 I love this huevo ranchero for one recipe because it’s so simple but SO good. To cut down on prep time, we just use canned beans (the preferred brand in our house is La Costeña) and Herdez bottled salsas (the red is called salsa casera and the green is salsa verde). A classic Mexican breakfast made easier with some store-bought ingredients. Heat 1/3 cup of beans and 1/4 cup salsa and set aside. In a skillet, heat 1/2 tablespoon canola oil over medium heat. Lightly fry the tortilla on both sides and transfer to a paper-towel lined plate to drain off any excess oil; discard the paper towel. Spread the beans over one side of the tortilla. In the skillet, there should still be a little bit of oil. Crack the egg into the skillet and cook the egg sunny side up, 1-2 minutes until the white is opaque and the yolk has slightly set. With a spatula, transfer the egg on top of the beans. Pour the warm salsa gently over the top of the egg and serve.